With the influx of online degree programs for adult students, more adults are finding it easier to return to school. However, with the rising number of online degree programs to choose from, adult students are questioning which degree programs are most popular. Popularity can indicate a few different things. Firstly, popularity may mean more competition. The more adult students receiving an online degree, the more competition there will be in the job market once all of the students complete the program. On a more positive note, popular online degrees also illustrate that these degrees are great degrees to earn online. With so many adult students enrolling in certain online degree programs, we had to research why. 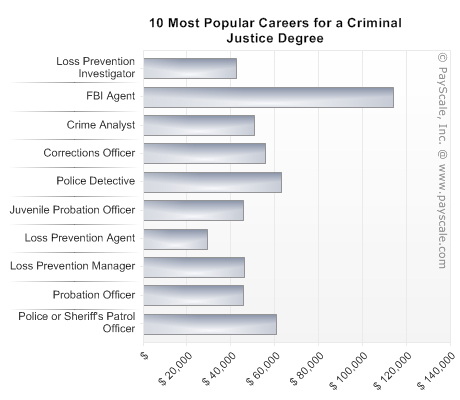 According to Yahoo!, a criminal justice degree is the best degree to earn online. Why is this true? Many attribute its popularity to the fact that many professionals earning a criminal justice degree online are still working in their criminal justice career. Most career paths in criminal justice require extra schooling, and with the option to earn online degrees more and more adults are signing up. So what’s the second most popular college degree to earn online? You guessed it, business. The field of business has always been a popular field. Similar to criminal justice, many business professionals return to colleges and universities for additional schooling and higher degrees. With the option to earn an MBA degree online, no wonder so many adult students are enrolling in business online degree programs. The third most popular college degree to earn online is a degree in healthcare. A career in healthcare requires professionals to be very computer literate. With almost all healthcare data stored on a computer, it’s no surprise that degrees in healthcare are now offered online. IT (Information Technology) is a very popular college degree to earn online. Because IT professionals use computers each and every day throughout their career, earning a degree online prepares students for what their career will consist of. Becoming familiar with online courses will help adult students enrolled in online IT programs feel comfortable working with different computer systems throughout their career. Last but not least, the fifth most popular online degree to earn is nursing. Because nursing requires a lot of clinical experience, some of the degree will have to be completed in hospitals to gain experience. But most of the courses that nursing students are required to take are now offered online! With nursing being such a popular and booming field, earning this degree online has really appealed to adult students. So there you have it, the five most popular online degrees to earn according to Yahoo!. Will you follow the trend, or beat to the sound of your own drum? If you’re one of the many adults returning to college, you know the importance of a personal statement. For some adult students, writing a personal statement may be something they fear and dread; but, it doesn’t have to be with the right training. Let’s say you lack in an area, such as your previous GPA or relevant experience. Writing a strong personal statement could make up for those weak points. So how should you go about doing this? Read these helpful hints to guide you along the way. Get to know yourself. More times than not, adult students will sit at their computer with a blank face and a blank screen. Instead, start by just simply brainstorming. Write a list of accomplishments that you’ve achieved and experience you’ve had. Let’s say you’re hoping to earn a criminal justice degree, for example, write down all of the relevant experience you’ve had. Maybe you’ve been involved in clubs and organizations that deal with criminal justice. Write down anything you can think of. It doesn’t mean you have to use them all -they’re just ideas! Why do you want this? Every strong personal statement answers this question. Although it may not be in the prompt, your passion to earn your college degree should come out in your writing. Going back to hypothetically earning a criminal justice degree- write down reasons why you want to achieve this goal and earn this college degree. Maybe a life experience has helped you come to this realization. Make sure to write down all of your ideas! Remember- you don’t have to necessarily write about why you’ve chosen a particular college degree, but it will help you come off as a passionate candidate by writing from the heart. Read the prompt. Too often adult students have an idea they are going to write about, yet it doesn’t follow the prompt given by the colleges and universities. Because colleges and universities are reading so many personal statements, one that doesn’t follow the guidelines will stick out among others- and not in an effective way. Be sure to review each prompt carefully and adjust your personal statement correctly for each school. Some colleges and universities may have very similar prompts, while others may be completely different. The writing process. Once you have all of your ideas put together, it’s time to write. It’s important to give yourself enough time to write because, although some personal statements may not require much length, it needs to be strong and effective. If the thought of writing in your home is already making your head hurt, dedicate time to writing your essay at your local library. Your library will be quiet and an unfamiliar environment will leave less room for distraction so you can work more productively. Remember, your personal statement doesn’t have to be written in one sitting! Writing your personal statement is more of a process. Once you feel that you’re out of ideas, take a break and come back to it. Review it. Once you’ve completed your personal statement, it is crucial to have others proofread it before your submission. Although this may be embarrassing, it’s necessary. There may be grammatical errors that you’ve missed or spelling mistakes. Someone may even suggest that you rewrite a section of your statement for better fluidity. Friends, family members, and co-workers are all great people to consult when writing your personal statement. You don’t have to use all of the advice they give you, but if several people are suggesting the same changes- think of their criticism as constructive and helpful! As an adult returning to college you may be afraid, intimidated, or you just may not know what to expect. But it’s important for you to know you’re not the only one. There are many adults returning to college with the same fears and concerns you have. That’s why we’ve created a list of possible concerns you may be having, so you can stop having them and be confident and ready for this journey. Adult students are more common than you think. Some colleges and universities even enroll more s than traditional ones. Adults are quickly realizing how important education is and how earning a college degree may open up many doors. If you plan on working for many more years and you want to increase your skills, than you’re not too old to earn your college degree. Adults are retiring later in life than ever before; if you think you’re too old for school, think again! 50 is the new 25 – so act accordingly! Sure, it may have been awhile since you’ve sat in a desk with the smell of chalk in the air. But that doesn’t mean you forgot how to be a student. In fact, adult students have an advantage being that they have real life experience. You may study differently than you did 20 years ago, but “different” could sometimes mean “better”. Believe it or not, you know more than you did as a young adult. You’ve been in contact with more people and you’ve been in more situations. Being a student is like riding a bike; once you learn it, you’ll never forget it. Yes, earning a college degree is a time commitment but there are so many ways to incorporate studying and learning in your everyday life. Many schools for adults offer online degrees that be completed while you keep your career and whatever else your busy life may consist of. You may be one of the many adults that need a college degree in order to advance in your career. Many law enforcement professionals are in this position and end up enrolling in an online criminal justice degree program that could easily be completed from home. They get to keep their career and earn a degree. Although earning a college degree can be costly, it’s a great investment! There are many adult students who have this same concern. Some are saving up for their children to attend college in the future and others just don’t have the extra cash. Based on a financial need basis, many adult students receive financial aid. You can apply for financial aid by going on the website and filling out your information. This information could take a while to fill out so it’s best to start early. Another way to save money is to rent your books or buy used books. It’s not just the tuition that costs people, but it’s also the room and board, books, and more. Figure out how much your education is going to cost you and figure out simple ways to reduce the cost. Whether that means carpooling or cutting back on that yearly vacation earning your college degree is certainly worth the cost. Becoming a nontraditional student will be a transition and earning your college degree may be a challenge, but it will be rewarding in more ways than one. Write down the concerns you’re having and figure out ways to fix them. Once you see your fears written down you’ll realize that every obstacle you come up with has a solution. Children often dress-up as a superhero for fun, pretending to save the world. Aside from the red capes and supernatural powers, real life superheroes do exist. As a child, you may have known what a superhero was, but did you really know what crime was? Did you know how dangerous neighborhoods and schools could be? Maybe you did, maybe you didn’t; but today you do and now it’s time to do something to control crime. By earning a criminal justice degree, you can live out your childhood dream and a criminal’s nightmare. There are many areas of criminal justice that you could possibly find a career in after earning a criminal justice degree. Become an FBI agent or a security guard. What about a detective or a fraud investigator? Often times, criminal acts go unnoticed when they shouldn’t. There are so many crimes that happen right before our eyes; in our neighborhoods; affecting our loved ones. With a criminal justice degree, you may not put a complete end to violence, but it’s a start. Some criminal behavior deals with finances and others deals with juvenile cases. There are so many different sectors of criminal justice that you could choose from. You have options with a criminal justice degree. Check out this list of careers from payscale.com and find which careers you can explore with a criminal justice degree and how much you could earn. Before completing your criminal justice degree find out which career you’d enjoy working in. If you feel strongly about preventing crime in schools, you can become a security guard. Or, pursue a career in forensics and analyze crime scenes, behind the scenes. A great way to find out what interests you most is to shadow a professional. You can do this by contacting local professionals. Most professionals would love to help you because they remember when they were first earning their criminal justice degree. They’ll give you a clear understanding of what it’s like working a day in their shoes. Who knows, this person may open up doors for you after graduating with your criminal justice degree. Not only will you learn the skills needed for the job, but you will also discover if the career interests you or not. Because many careers in criminal justice can deal with sensitive material, it is important to know how much you can handle. Could you work on a crime scene? Could you put your life at risk to save others? These questions aren’t meant to scare potential criminal justice degree seekers away, but these questions instead are meant to prepare students for what a career in the field could deal with. A ride-along with a professional could easily answer these questions so you’ll have a clearer understanding of what your career will really consist of. Another way to build skills and gain experience in the field is to volunteer. There are many opportunities to volunteer your time while earning your criminal justice degree. You could volunteer to walk students home from the library, a program most large colleges and universities have. You could join clubs that deal with criminal justice. Many colleges and universities organize clubs for particular majors. Ask other criminal justice degree seekers what they’ve done to prepare for a career in the field. If you can get a hold of Batman, Superman, or Spiderman- more power to you! With social media sites on the rise it’s no surprise that you can use sites like YouTube, Twitter, and Facebook to help make your life easier and more interesting. But how can these social media sites help you earn your criminal justice degree? Connecting- Sites like Facebook, Twitter, and LinkedIn are continually helping students connect with each other. This is helpful for students and graduates. Connect with others when you need help with an assignment or to coordinate a day to study with classmates. Using social media sites to get together with classmates is now easier than ever. Up-to-date- Earning a criminal justice degree requires students to be up-to-date with the news. Some professors may wish to discuss recent news in order to begin a lecture. You may be required to research crimes or write a paper on a recent situation occurring in the news that deals with criminal justice. A site like Twitter is a great way to stay up-to-date on current news. Trending topics and tweets from national news centers will keep you well informed on any topics you may be discussing in class. Practice early- A career in criminal justice will require you to try your best to make the world a safe place to live in. Whether you’re working as an FBI agent or a security guard, your job will be to create and promote a safe environment. With dating websites, like E Harmony, and social sites, like Facebook and Twitter, there are a lot of people up to no good. As a member of these social media communities, you can practice your skills in criminal justice through social media. See something that just doesn’t look right? Look into it. It’s better to be safe than sorry. Internet Savvy- Your social media skills might surprise others. Years ago, it took 10 minutes to type in the “www” of a website. Now you can upload a whole album to Facebook for your friends and family to see within seconds. What should this tell you? Be confident. If you learned how to navigate through social media sites easily, you will surely be able to learn any computer program required while earning a criminal justice degree. 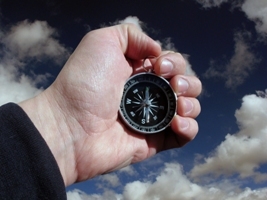 Experience- Employers want it, but where can you get it? You can use social media sites to contact criminal justice graduates that are currently working. Sites such as LinkedIn and Facebook are prime properties to find professionals with a criminal justice degree. Find alum from colleges and universities in your area that have found a career you’d be interested in pursuing or learning more about. Maybe they’ll know of job opportunities for criminal justice students and graduates? Or they could simply answer a question you’ve had about the profession they’re working in. Of course, social media sites are not necessary for success in criminal justice. For years criminal justice students did just fine without it. BUT social media does make earning a degree in criminal justice much easier. By making connections and staying informed, your experience as a criminal justice major will improve. Regardless if you already have social media accounts or if you’re new to social media – use these tactics to live out your dream career. For criminal justice students, it’s not just school; criminal justice is more of a passion. Enhance your skills and your education through social media sites today! Sure, colleges and universities offer many programs to choose from. Students find a degree program they’re interested in and earn their college degree. They celebrate the success of graduating with a college degree and then the job search begins…. Colleges and universities not only expand your knowledge in a particular subject, but they also teach you to adhere to deadlines, present information, be punctual, and to collaborate with others. But what do colleges and universities not teach you? The real world requires not only a degree but experience. Where can you find experience? Internships are a great place to start! Volunteering is another method. As long as you know that just earning an education does not cut it. What does this teach students? It says that in order to become successful, students must do more than just attend classes; instead they should get involved and seek experience that pertains to their college degree. Don’t wait until you graduate to gain experience, start early. Use summers and breaks throughout the year to gain experience. You want to become a veterinarian? Volunteer at an animal shelter or work at a pet store. If you can’t find experience there, volunteer to walk the neighborhood dogs. Look for experience anywhere you can. While applying for jobs, you’ll find that a good resume is important. Students often wonder how they should go about writing a resume. There are certain writing techniques you should use to entice the reader. For example, short phrases are better than long detailed sentences. Colleges and universities don’t teach you how to write a resume, but most will guide students to websites or workshops where they can craft the perfect resume. You’ll come across a wide array of people as you earn your college degree. One thing that never ceases to stick out is the “just rolled out of bed college trademark look,” whether it be the large sweatpants or the bed head, this look is visible from a mile away. However, appearance is a chief factor when landing the job you want or even when approaching your professor. The image you portray illustrates what you want out of your career and your education. Remember, you are what you wear. Just because there is no dress code doesn’t mean you should wear your favorite spaghetti stained shirt to class, or anywhere for that matter. While attending college classes it’s easy to forget that the connection you make with your professor is important. Aside from the fact that they are grading your tests and papers, they are people that you should develop a good relationship with. Why? Well, if you plan on attending any additional schooling after earning your degree you will need references from your professors. Some jobs even require references. The biggest mistake you can make is to be the shy student that never made any attempt at forming a bond with your professor. Besides, your professors are knowledgeable people who can provide guidance throughout your college career. Colleges and universities don’t teach you how to navigate a computer. Not that you have to be a computer whiz, but it may be beneficial to take a computer course before enrolling full-time in a degree program. Microsoft programs, typing skills, and navigating the internet are all skills used in almost all college classes. Sure, most professors are more than happy to assist students with any technical questions they may have, but it’s really your responsibility to become computer savvy. With all this being said, it’s important to note that colleges and universities DO teach you to be independent. So, while you may not have learned how to write a resume, your college or university provided you with resources, such as resume writing workshops. Think of colleges and universities as a parent teaching a child. There is a lot of information to share and some you leave up to the child to learn independently. It may have been awhile since you’ve taken a test. But chances are you still remember the scene. You see the timer ticking, 10 minutes stands between you and the finish line! You’re sweating. You’re scared you’re going to be the last one finished. You’re mind is drawing a blank on every question. HELP! We have solutions for you to clear your mind and fill in the bubble with confidence and ease. 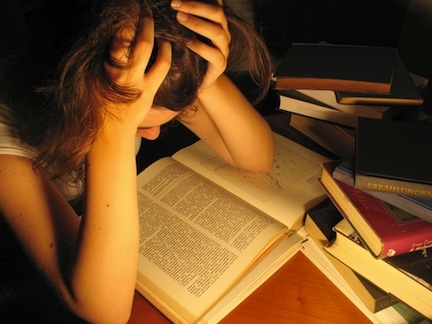 Change the way you study- A lot of the stress you experience when taking a test may stem from the way you study. If you cram the night before- this may be the cause of your anxiety. Your brain cannot possibly remember all of the information you expect it to in one night. Instead, try to study a little bit each day before a test and you will know the information like the back of your hand. If you’re wondering how this technique can reduce stress during a test, the simple answer is: if you know the information, and have seen it day after day, there’s a lesser chance of you completely blanking! Take deep breaths- In, out, in, out.. you know the drill! This may seem basic and even obvious for reducing stress in any situation but it works like a charm! When you start feeling anxious before or even during the test, take deep breaths! It will help your body calm down so that you can focus, plain and simple! Don’t over-think – If you’re stuck on a question or two, don’t spend too much time on it. Instead, just skip it! You can always go back and try again. With the time you waste on a tough question, you could be answering easier questions correctly. So instead of using the saying ‘don’t sweat the small stuff’,’ we’re saying don’t sweat the big stuff. Relax, and just go back to the tougher questions when you feel more comfortable. Don’t pay attention to other people- Normally, this isn’t the best advice. If you didn’t pay attention to other people when you drove, you’d crash. But the rules are different when taking a test. So don’t pay attention to the person next to you who won’t stop coughing, or the one behind you that’s flipping page after page about to turn it all in. Worry about yourself and what’s in front of you. Mark it up – If your professor allows you to write on your test- take advantage! This way you can circle and underline words that will help you find the right answer. It will help you feel less overwhelmed with the question and the answers. So if a question asks, ‘what are not the best stress reducing techniques during a test‘ you would want to underline the word ‘not’ and keep that in mind when answering the question. After using all of these handy tips you’ll be taking tests with ease! Remember, sometimes it’s not about what you do, but how you do it. So if you can change the way you take tests, maybe, just maybe, your results will change too! And that sounds A okay to us. Network, network, network- If you excelled on a project in your Biology course with Suzy, connect with her! No, we’re not saying you need to spend quality time together. What we’re saying is – you never know if Suzy will become president one day, or the owner of a company you want to work for. So keep in contact with your peers and professors. It will only help you. Shop around – No, we don’t mean actual shopping. Unless of course, you need to resupply your pencil drawer. We mean shop around for the right degree so you’re happy with the courses you’re taking. There’s nothing worse than being unhappy- we all know that! So choose the right degree for you, and be happy with the coursework needed to earn it. If you hate writing, you may want to reconsider a degree in English or Journalism because the process will be painful. Choose something you will enjoy, something you will look forward to learning more about. Just like actual shopping, try some degrees on for size and choose one that brings out the best in you. Feed the hungry- By being a student there are so many opportunities to get involved, on campus and off. So take advantage. Did you know that getting involved doesn’t just help others, but it can also help you? Because it’s great for your resume! So volunteer – for them and for you! Go above and beyond- If you’re required to read half of a chapter, read the rest of it. Research topics discussed in class. Come prepared for discussion. Do the necessary work to fully absorb the education you’re receiving. If your education is important to you, then prove it! Show up – You know how disappointing it is when a friend plans on getting together with you and as you pull up to the coffee shop you get a text saying: ‘sorry running late‘ or ‘reschedule?‘. It’s frustrating and disappointing but you’re their friend and you forgive them. But do your teachers forgive so easily? Remember that by not showing up to class, or showing up late, you are showing your teachers how much interest you have in their course. And keep in mind that they hand out the grades, so why not impress them by showing up to every class in a timely fashion? If that’s not enough to convince you to go to class, remember that you’re paying for it. If you bought concert tickets, you’d go and you’d probably even be there early. If you bought movie tickets, you’d go with popcorn in your right hand and an extra-large drink in your left. So go to class, not just because you have to but because you want to. areas such as different degrees, schools, or online vs. traditional learning is common and important for adults to consider. Adults should weigh all the benefits of attending college, and hope that the positives outweigh the negatives. It is important to keep in mind that each student has different goals, hopes, and dreams in regards to their college education. Students, especially adult students, are different than the traditional young adult student receiving a college education. There are obstacles that they need to overcome as adult students before earning their degree. By figuring out what the obstacles are before attending college, adult learners will be able to complete their college degree in a timely manner with ease. Some adult students are parents, and therefore have a wide range of home responsibilities. Before receiving a college education an adult student may need to seek additional help with the care of their children. Some schools offer daycare services, or adult students may want to consider other options such as online education. After the student has figured out how their children will be cared for during the time they will be in school, there are areas that need to be explored. It may be hard for parents to find time to study, but adult students must make time for themselves at least every day to study their course materials. Whether it’s family obligations or work that occupies an adults time, they need to devise a way to clear their schedule enough to successfully earn their college degree. Once children are taken care of, it is important for the adult learner to decide which route they are going to take in their education. This can be a tough process, because of the many options available. Students can choose anywhere from an associate’s degree to a PhD in a particular area of study. If the adult student makes reasonable goals for themselves regarding how much time they are willing to commit to earning a college degree, the process becomes much simpler. If an adult learner can only commit to a 2-year degree, it’s important for the student to figure that out before planning to earn a 4-year bachelor’s degree. For the adult learner it is important to have reasonable, attainable goals. Furthermore, adult learners may find it difficult to figure out which degree to earn. There are many options whether in education or the sciences, or both. One simple method to decide which degree an adult learner should seek is to find out where their passions are. It is important for adult students to think of their college degree as a certificate of passion. They should put more focus on what they are interested in, and less about what careers can stem from the college degree they choose. Passion in a particular subject will make earning the degree worthwhile and enjoyable. Earning a college degree is one step of many. One step towards a potential career, one step in your adult life, and one step towards a successful future. It is a meaningful accomplishment, especially as an adult. In today’s world, it’s possible for adults to earn their college degree in a much simpler way than in the past. Online degree options are one way that technology has integrated with education to create a learning environment for everyone, especially adult students. With the resources that adult students now have, earning a college degree is more achievable than ever before. Going back to college as an adult may be a little intimidating. Especially when you’re sitting in a classroom with young adults that may be 20 or 30 years younger than you. But don’t fret, you can be a great asset to the class by using the knowledge you have gained from your life experiences. With that being said, adult learners make a great asset to class discussions. With their ideas stemming from a different point of view than the younger students, discussions become more interesting, and enlightening. Another popular option for adult learners are online classes. Working from home, creating your own schedule, and having more free time for family, and your career, are just a few benefits of online classes. However, earning an online degree requires motivation and self-control. For a busy adult, this path is ideal, as long as time for studying, reading, and other class requirements are met on-time. This may sound surprising, but online classes also provide students with social interaction, just like a traditional classroom does. With online discussion boards, group projects, and e-mail exchanges between other students and professors, online education will feel a lot like traditional education. Pod casts and live chats are also available for some online classes. This can help you with any questions you may have, and you can also get to know other students. With the growing number of jobs requiring degrees, many adults are going to college to become more successful, and more intelligent. The amount of adult learners is on the rise and is continuing to grow. Remember, it is never too late to go back to school, no matter how busy you may be. Motivation- get it, use it, follow it. New schedule- Make a new schedule, and learn to adapt to it. At first it may seem overwhelming adding to your already busy schedule, but like anything in life you will adjust with time. Multitasking- kids big game? Bring your work with you. How about relaxing in the tub with your textbook, or chilling at the beach with your laptop. Quiet study- head to a coffee shop with your laptop. You can join classmates and work together. Plus, you can get away from the house in order to focus more clearly. Most importantly, you should look forward to your new education and experience. You can do it, and you will reap the benefits from all your hard work. Good luck on your venture into success, you’ll do great!